A Burgess Hill church has been the victim of lead theft. Sussex Police said Centre Church (formerly known as Mid Sussex Christian Centre) in Leylands Road was targeted by thieves on Thursday, January 10. A spokesman said: "Mid Sussex Christian Centre in Leyland’s Road, Burgess Hill, has been the victim of lead theft by persons unknown. "Lead flashing has been stolen from the ground floor windows facing the road, and an attempt to remove lead from the porch was made." 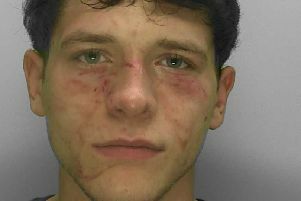 Witnesses are asked to contact Sussex Police on 101 quoting reference 0518. The Middy has contacted the church for a comment.